The iconic Fairfax & Favor Regina Suede Boot is an elegant, full length knee boot crafted in rich, sumptuous suede. The tailored design provides a sleek and flattering silhouette for any leg with a flat sole for maximum comfort. The Regina Boot features a low, block heel, a padded, interior leather lining and elasticated panelling for a flexible and customised fit. Complete with signature interchangeable tassels enabling you to personalise your boots or use the matching pair enclosed. 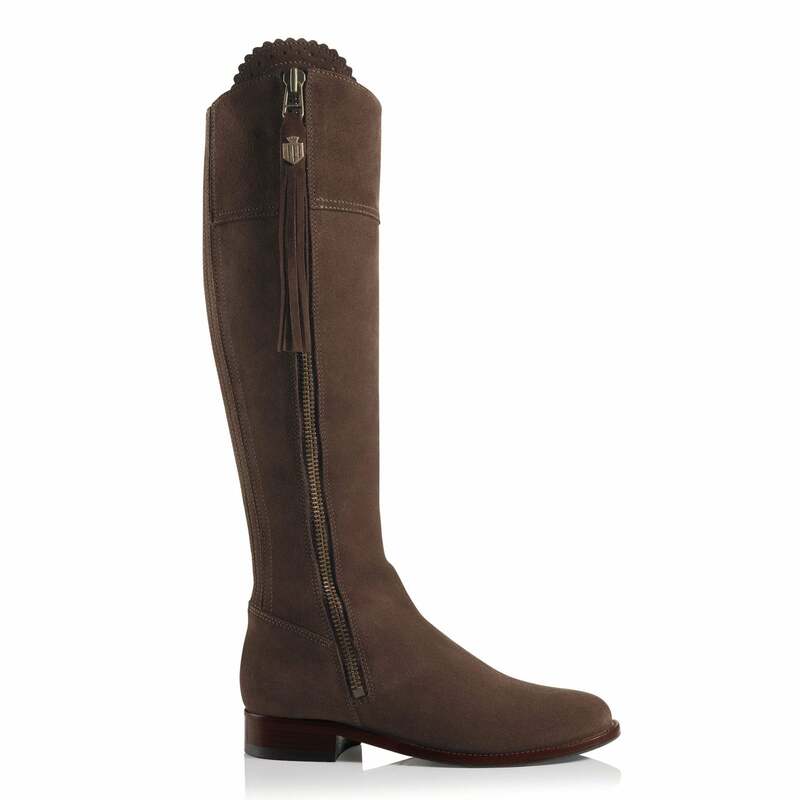 These beautifully fitted boots are an all season must-have which exude soft, feminine elegance. Perfect for transitioning between office, evening and country with ease, giving your look that luxe, glamorous finish for many years to come. Care tips: Suede and leather products should be sprayed at least once a month with Suede and Nubuck Proofer. If the suede becomes subject to large amounts of mud or water leave to dry naturally before brushing, then re-apply the proofer. For the best stain protection, we recommend the Ultimate Care Collection. It contains Liquiproof revolutionary nanotechnology which creates an invisible protective barrier. It fully and effectively protects your leather and suede from all liquids, ranging from water, red wine, oil etc with unparalleled results. Finally, it's best to store your boots with boot trees to help maintain their original shape.